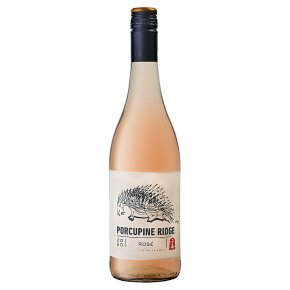 Wine of Swartland, South Africa.Porcupine takes its name from these shy nocturnal creatures that frequent the vineyards, forest and fynbos that surround Boekenhoutskloof Winery. This wine is made with Cinsault and Syrah grapes from vineyards in the Swartland - South Africa's most exciting region. Porcupine Ridge Rosé - a Boekenhoutskloof original. Tasting Notes Dark berry fruit, perfume and spice. Dry, with a soft, peach melba finish.